As his career has progressed, the consistency of Woody Allen’s films have become more and more patchy. Blue Jasmine (2013) was pretty good but last year’s Magic in the Moonlight was flimsy and throwaway. 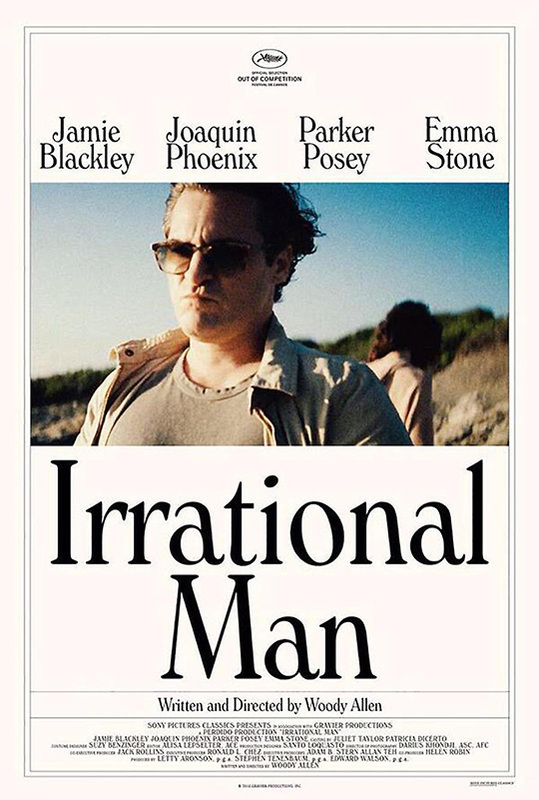 This year we have Irrational Man, starring Joaquin Phoenix as philosophy professor Abe at an East Coast college who finds a way to justify his existence through an existential act. The problem here, like Magic in the Moonlight and many of his films over the past decade at least, is that while Phoenix is obviously a good actor, the scenario is poorly thought out and most of the rest of the cast including Stone as love interest student Jill just don’t convince on screen. Parker Posey as Rita, the wife of a fellow professor who takes a shine to Abe, at least manages to bring some sort of emotional connection with the audience but she is a rarity here. Irrational Man feels like a poor pastiche or parody of Woody Allen’s better-conceived films earlier on his career. It explores many of his typical themes like the idea of evil, morality and philosophy but the script is flimsy and paper-thin. Allen’s best films are seemingly behind him, although he can still impress with films like Blue Jasmine and Midnight in Paris but Irrational Man is whimsical without being clever, pseudo-intellectual without being deep. A frustrating and ultimately pointless exercise.